All events are held in the Library’s Community Room at 7p.m. unless otherwise noted. 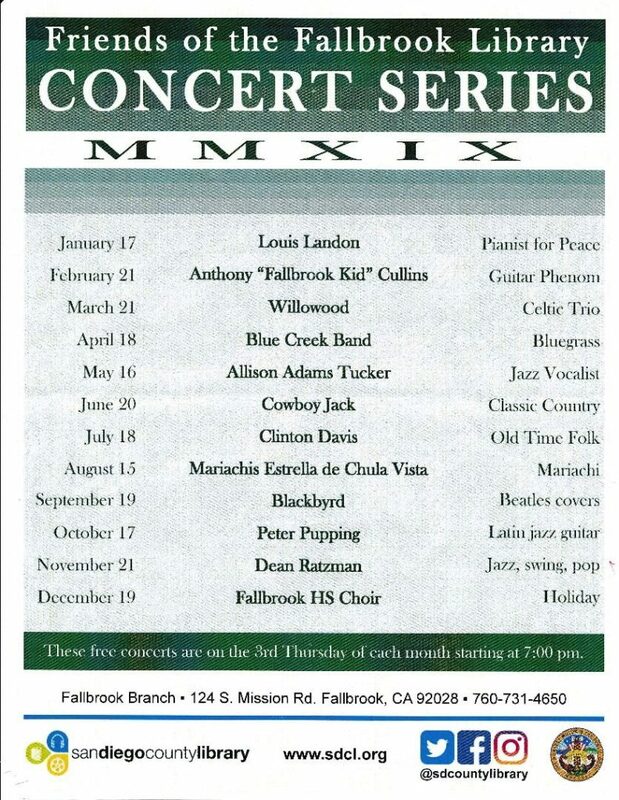 Sponsored by The Friends of the Fallbrook Library. No reservations necessary, seating is on a “first come” basis.